Casey Rodgers/The Associated PressMadison Hildebrand: "I'm not trying to be anybody other than who I am.... I just saw myself changing." When it comes to California real estate, "Malibu" and "Madison" are synonymous. 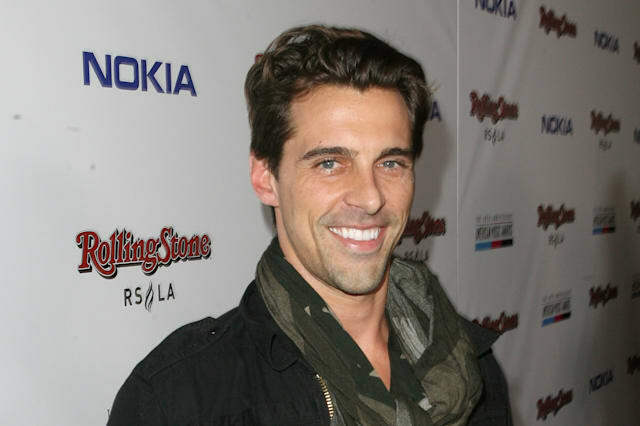 The original star of Bravo's hit reality series "Million Dollar Listing Los Angeles," Madison Hildebrand has brought in more than $250 million in career sales - with the cameras rolling. But after six seasons on the show, Hildebrand announced he was walking away to focus on new endeavors. Now we know Hildebrand is not only leaving the show but also Coldwell Banker to join Partners Trust as founding partner of its new Malibu office. We spoke with the star to find out more about his career change and departure from "Million Dollar Listing." Zillow: You've been on the show since the beginning. Why did you decide to leave? Hildebrand: It has been a fantastic ride, but I felt it was my time to go. The show is more about personal lives than real estate transactions. It's pretty dramatic, and I'm a pretty easygoing, happy person. I'm not trying to be anybody other than who I am, but at times with reality television you are put in situations where the reaction is triggered. I just saw myself changing. At the end of the day, I wanted to leave the show to focus on new and exciting endeavors. It's time to get back to my business, my brand and finding a partner without the cameras. Zillow: Last time you spoke to Zillow, you said you essentially have two careers -- one as a real estate agent and one on the show. Without 10 months of filming and a three-month air cycle, how have you spent your time? Hildebrand: I've spent months decompressing. I went to visit my parents in Arizona. I've also been to Park City, Mexico, Dubai, Thailand, Kruger National Park in South Africa - a lot of traveling, which has been wonderful. I also have a new house, so I'm taking time to remodel, and I'm focusing on my business and my brand. Zillow: You returned for last night's season finale to announce you are leaving Coldwell Banker. Can you talk about your decision to join Partners Trust? Hildebrand: When I announced I was leaving the show in June, I was approached by several brokerages. I've taken interviews in the past and always been loyal to Coldwell Banker, but when I sat down with Partners Trust, they really knocked my socks off. The way they support agents - the brains behind the machine, so to speak - far surpassed any other company I've seen including Coldwell Banker. That excited me! They know I'm a professional as much as a reality personality. We just saw eye to eye. Zillow: You're staying in the real estate market you know best. Why Malibu? Hildebrand: I've lived in 10 cities, and I just never found anywhere like this. It's such an eclectic group of people with different backgrounds - every day is different. I get to work with some of the most recognized celebrities, talented businessmen and the grandma that's been here for 80 years. You never know who is going to get in your car. Most people are drawn to Malibu for the same reasons I am - it's connected to nature, there's open space, water, mountains and a healthy lifestyle. Zillow: A new role means you have an opportunity to change things up. What do you plan to do differently? Hildebrand: I think what's great about coming to a boutique agency with accessible ownership is that it allows me to get involved at a corporate level. I am a big business thinker. It's important that I'm with a company that can change and adapt at any second. At Partners Trust, they do all our marketing and layout design. They have resources and consistency that's really nice. The clients love it, and I love it. Zillow: Can we expect to see you on TV still? Hildebrand: I am making more than one guest appearance as myself, a Realtor, on a new Bravo show coming out. So, I'm still very much a part of the Bravo family. Zillow: What advice would you give agents following in your footsteps on the show? Hildebrand: Just be yourself. You have a lot more power than you think even though you signed that contract. Everyone and everything that appears on TV has to have a signed release, so use that to your advantage. Insulate yourself from mediums of communication - especially a direct line - because it becomes very consuming. I haven't picked up my office phone in seven years; we screen every call. You have to have awareness but also live your life. Zillow: What is the biggest thing you're taking away from "Million Dollar Listing"? Hildebrand: I think the coolest thing about being on reality TV is that by the time you film and it airs, you have already become a different person. When you go to watch yourself on television in history, you are seeing mannerisms and situations that affect you. Either you realize it's something you haven't overcome yet or it's a mannerism you didn't even realize you had. It's accelerated me as a human being to see how I am being perceived by people. Also, in life situations, I'm never lonely. People feel like they know me, so they already open up. All I have to do is choose to open up and be their friend. Zillow: What do you hope viewers gain from the show? Hildebrand: I've always used the show as a platform -- I can be young, gay and successful. I can date a woman and a man if I want to. Hopefully that inspires people.